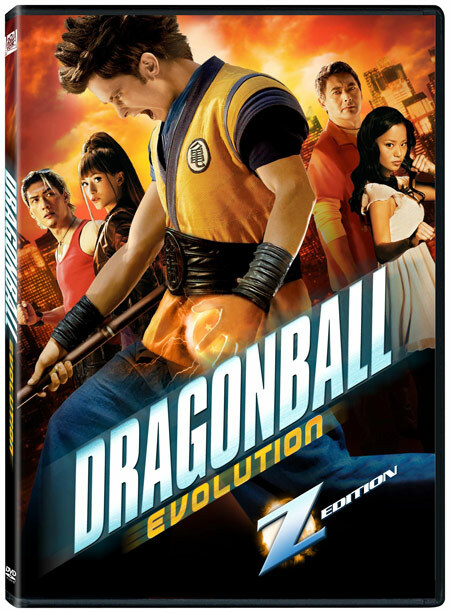 To celebrate the Christmas season, Alex's DBZ RPG 5 is giving away a brand new copy of the live-action movie Dragonball: Evolution on either DVD or Blu-Ray (you may choose which to receive if you win). Below is the information that you need to know about who can enter and how. Please read the page carefully so your submission gets accepted! Who Can Enter: Any member of the RPG can enter as long as they have been an active member for at least two weeks prior to entering. That means that if a new member joined the site today they could enter this giveaway two weeks from now (the giveaway will run up until the week of Christmas). If you are not currently a member but want to become one, you can do so by following the step by step procedure on the join page. You must live within the United States or Canada to enter for the drawing. You also must be willing to disclose (to me personally) your shipping address when and if you win. You must be accepted as a member and listed on the player roster before you submit your registration to the giveaway or else it will be ignored. When: You may send submissions for the giveaway starting November 23rd, 2009. Submissions will be accepted until December 22nd, 2009. The winner will be chosen on Christmas Eve (Dec. 24th). Rules: You must be an accepted member of the site listed on the roster and active for at least 2 weeks to enter. To be considered active you must be roleplaying as well as posting updates. You must live in the United States or Canada to be eligible for the grand prize drawing. Limit to one entry per member. If you are caught trying to submit multiple entries or using multiple identities you will be removed from the site. One (1) winner will be chosen at random and notified on the forums via PM on December 24th. If you go inactive or are removed from the website before the drawing, then your submission will be voided and no longer count. All entries will receive a Christmas bonus of +100 all stats to be awarded on December 24th. If you live outside the U.S. or Canada, you may still receive this bonus by entering but you will not be eligible for the grand prize drawing. How: To enter, simply go to http://www.penguinrun.net and post "Christmas Giveaway Entry." on the CBox near the top right corner of the web page. You must post using your character name from the RPG and in the URL/Email section, put a link to your character's wiki profile.